A striking woman with a sparkling smile wheeled her luggage up to the hotel desk. “Life Coach” was embroidered on her bags. We were checking-in for the same writing conference. Give me your best shot lady, I thought through my smile. I cringe thinking about my resistant response to her vocation. Little did I know what a precious gift, and friend, this woman would become. Over dinner that night she asked me a few questions and I found myself pouring out my soul over chicken marsala. What I found was an intentional question-asker, an empathetic listener, and a wise woman who cared about my heart. Meet Darlene. My Life Coach. 1. Clarity: I feel like I am living more intentionally now that I am strategically dealing with the “stuck” areas in my life. 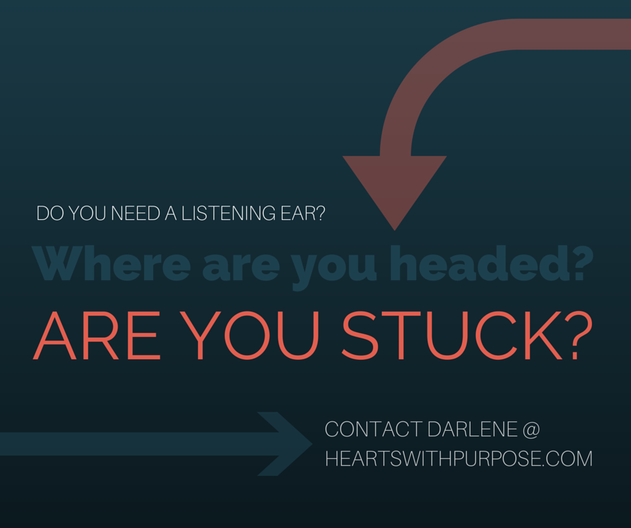 Darlene’s pointed questions and tangible assignments help me move forward with precision. 2. Honesty: I easily pour out my heart as I admit my struggles and frustrations to my Life Coach. It is refreshing to be honest and to feel safe as I share. 3. Accountability: Having someone else ask me how I am doing and check-in regarding my forward motion is an important tool for growth. 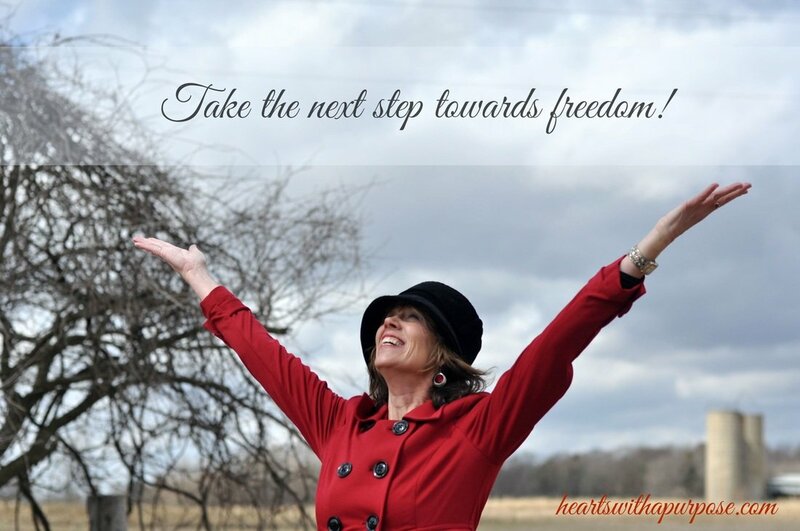 I am more free, hopeful and confident as I learn healthy ways to deal with lingering hangups. It was a delight to interview Darlene. View the video and learn more about this wonderful lady and how she can help you too. In what areas are you stuck? Do you long for someone to help you discover your life purpose? Interesting in Becoming A Life Coach? Contact Darlene for information about being certified. P.S. One of my favorite things is to partner with others in promoting their businesses and ministries. I highlight your passion and words and blend them with my photography and design work. I also offering consultation for maximizing impact through social media. Contact me today to get an estimate on creative collaboration and consulting services. P.S. I’m linking up with Kelly & Friends for the #RaRaLinkup. I’m also linking up with Kristin for Three Word Wednesday, Jennifer for #TellHisStory and Holley for Coffee for Your Heart. Thank you for helping others Lisa. Katie- I love this. Your reaction to “Life Coach” would have been mine. And isn’t that the pride we battle when we doubt that someone can help us? I love how your relationship with Darlene points to what we all need and desire. What a beautiful thing to bear His image in our relationships! Thanks for your encouraging words. Thank you Karen. :) Glad the pride got kicked to the curb or I would have missed out on a lot. Thank you Ellen- happy day to you! Yes, Titus 2, for sure. So thankful that Darlene lives this out. :) May we as well. It’s so important to have a strong Christian to give us guidance and a clear outside perspective with no motives of their own. Love how you were resistant to her and then got to know her and loved her. That’s how I felt about one of my dearest friends. Life is funny that way! I enjoyed reading this, Katie. So wonderful to have someone come alongside of you & encourage you to become all that God intends. We all need people like that in our lives. And may we be that to others. Blessings! This post makes me think so much of Titus 2. We do need older women speaking into our lives and directing our steps as well grow as wive and mothers. I think at least once in our lives we feel stuck somewhere in our lives. We need this. Thanks for sharing your wisdom. May it reach more people especially those who need to hear this. Darlene seems like a neat woman and a good life coach. I’ve never used one before, but your interview certainly made it sound intriguing. Visiting today via #coffeeforyourheart. We aren’t meant to do this life alone, so I’m glad you found someone to help get you unstuck. What a wonderful ministry she has and so glad you’ve been blessed by it. Hi. Just stopping by from His Story. 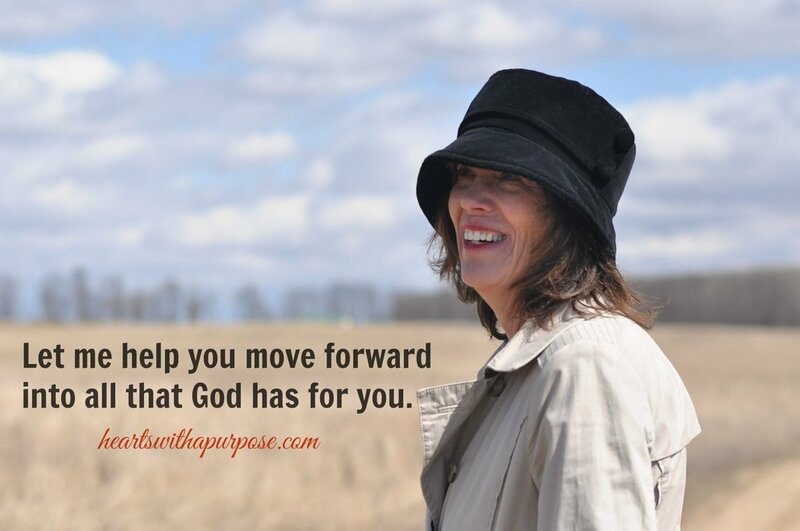 Great post and greater is how God changed your heart towards Darlene. Reading your comments was encouraging, as well. It is so true that we need each other. In my fifties now, I see that we older women need to be encouraging the younger. Praise God for directing you to Darlene. Thank you Duane. Yes, so thankful for the change of heart and Darlene’s willingness to invest in me—a great example. I want a Darlene! How awesome is that – that God connected you together? This is beautiful. She is an example to us all Katie. Cheering you on from the #RaRalinkup on Purposeful Faith. Thank you for sharing this with us!